Happy Bath Day Precious Rose is a series of bodycare, haircare and some facecare scented with their Precious Rose fragrance. I think the scent is ok though not my favorite as it smells a bit cheap and actually it can be quite cloying and overly sweet so if I want to use anything from that range than better only 1 product and not the whole range. Anyway, the 3 products in this review come with the same scent and packaged in really sweet pink bottles from very light to medium pink. None of these products is remarkable in any way. The Shampoo and Conditioner aren´t really very nourishing and just not rich enough for my hair. 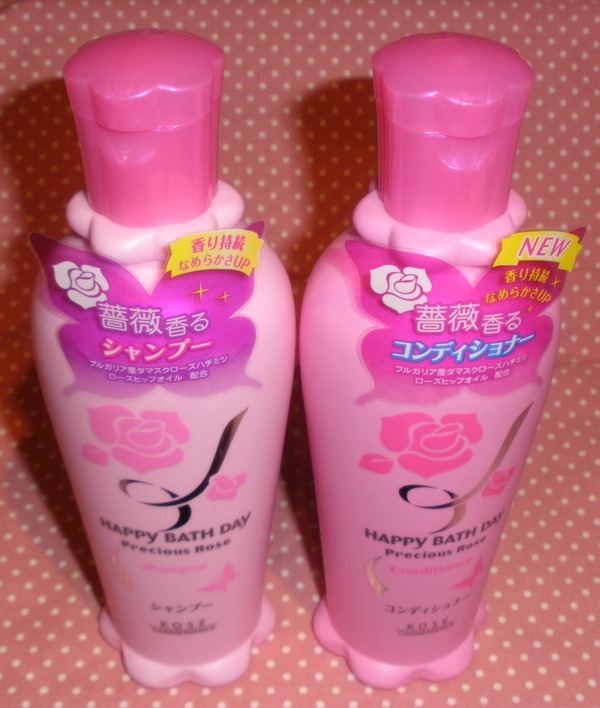 The Body Wash is nice and creamy and not drying but just I can´t get that warm with the scent. Overall worth skipping and I don´t think I am going to buy anything else from the Happy Bath Day Precious Rose range. I still like their hand essence, although I haven't used it for over a year (so I guess I am not that enthousiastic, LOL). I tried their hairmask and I loved it at first, but then it turned on me (as some hair products can, first being really good and then making the hair a tangled mess). So yes, I'll gladly skip this collection too. 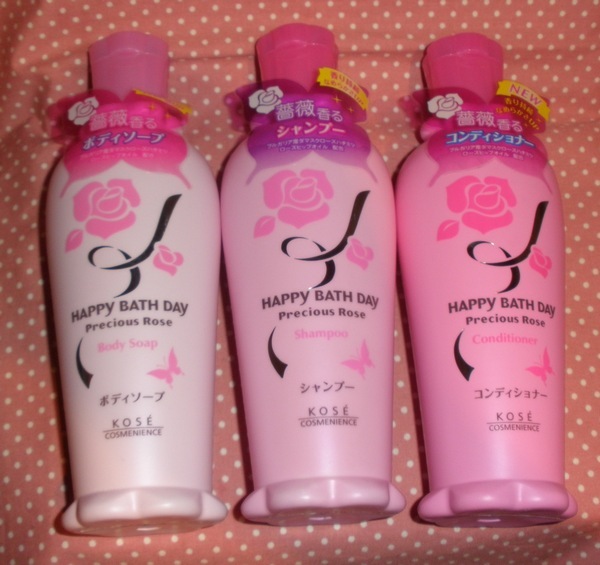 I remember I tried their body scrub before many years ago.. the grains were quite rough and a bit painful for the skin. I really wanted to like it but I guess just like the review, I will not buy anything from this collection! Those bottles are definitely really cute though! i just want to know if anybody knows where to buy these products here in the Philippines? i just want to ask if anybody knows where to buy these products here in the Philippines?